It's basically a full time job keeping our toddler fed and happy. Lucky for us FJ is a great eater, she will try anything, but we do have our challenges getting in our 5 a day. Our solution is daily juices or smoothies. This kid will drink anything through a straw! We usually have mostly veggie juices with an apple or two for sweetness, but as an occassional treat, I'll whip up some fruity smoothies. There are so many great smoothie recipes out there, and the best ones are the random ones you can craft up with whatever is in your fridge. 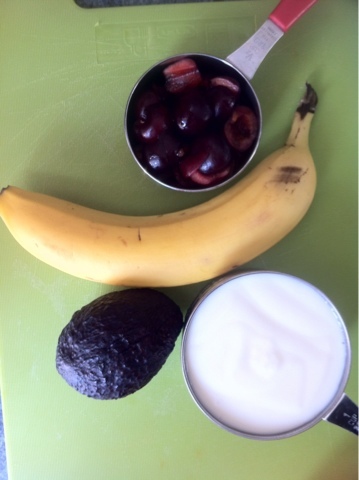 Today we have 1/2 cup of cherries (grown by our neighbour 2 doors down), an organic banana, avocado and a cup of organic yogurt. Chock full of antioxidants, of vitamin C and healthy fat, this smoothie is a perfect sugar free treat to fuel the little one through the afternoon. Mix all ingredients in a blender for about a minute. And VOILA! 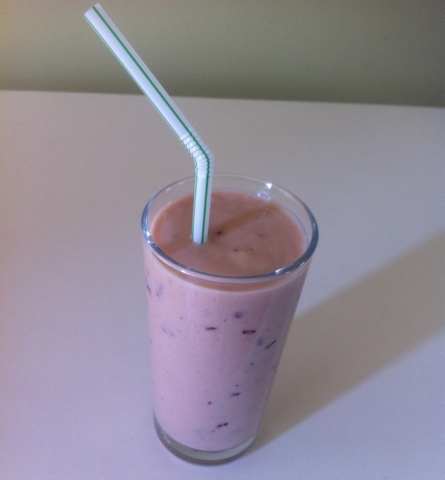 A Sugar free super healthy super smoothie! If you fancy a thicker smoothie use frozen bananas for creamy, luxurious texture. 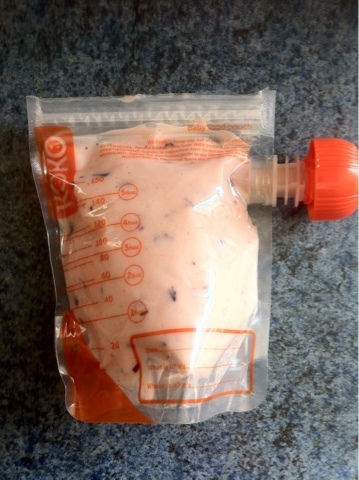 For when we are out & about, I found these amazing reusable pouches from Koko. I fill them up and toss the mini smoothies in the freezer. They defrost slowly, so they are the perfect picnic treat, or in my case last week a keep-her-quiet-while-running-errands-treat.